New Mini 5dr vs Audi A1 Sportback vs Ford Fiesta | What Car? If you like a tip-top driving position, the Fiesta fits the bill best. 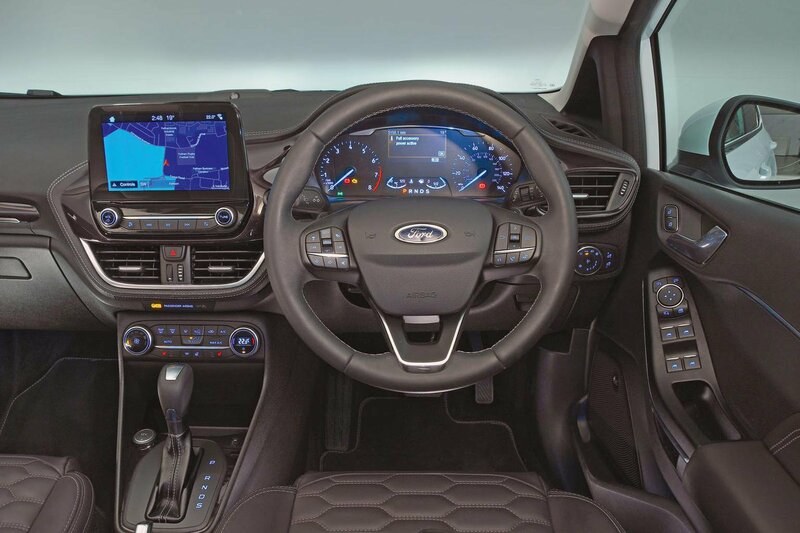 The extremes of adjustment to its driver’s seat and steering wheel provide the flexibility to accommodate drivers of all sizes, and the alignment of the seat, steering wheel and pedals is about as good as you could hope for from a car in this class. You also get a standard front centre armrest to lean on – something that costs extra in the other two. 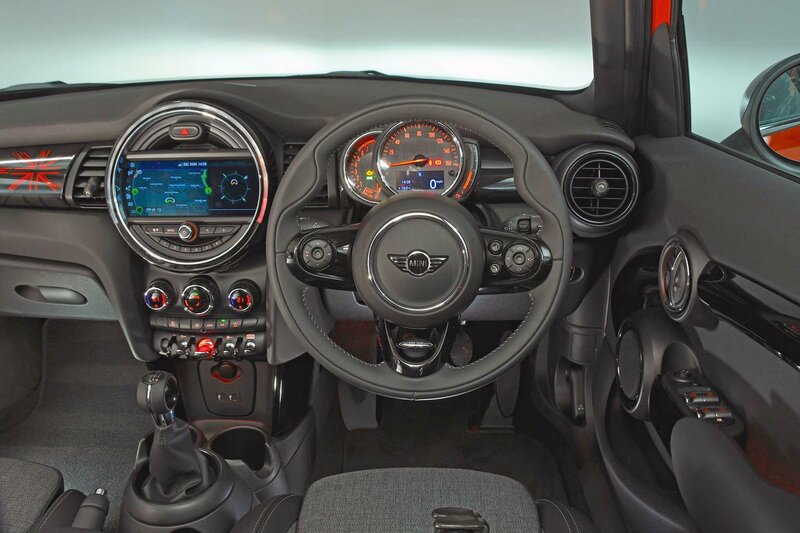 The Mini’s driving position has plenty of adjustment, too, particularly for the steering wheel, although it’s hampered slightly by offset pedals and less under-thigh support for those long in the leg. And you don’t get lumbar adjustment as standard – although, in fairness, the seat still offers decent lower back support. Oh, and its folding armrest, which costs £110 extra, gets in the way when you reach for the handbrake. Like the Fiesta, the A1 gets adjustable lumbar support as standard, adding to the comfort of its cosseting sports seats. However, it falls short in other ways, notably by not providing enough reach adjustment for its steering wheel. Visibility is excellent in the Mini. Its front pillars are relatively slim and more upright than those in the other two, providing a better view in tight right-hand corners. The rear pillars are also the least obstructive when reversing, although all three come with rear parking sensors. Only the Fiesta has a rear-view camera, though. At night, the Mini’s LED headlights (part of the Chili Pack) act like searchlights, and you can upgrade to adaptive units for £490. The A1 gets effective xenon headlights, while the Fiesta’s halogen headlights are pretty weak, so we’d suggest stumping up £600 to swap them for LEDs. We can’t really fault any of these cars for their dashboard layouts. Each weds clear dials to a logical dashboard design and places the major controls within easy reach. However, there are big differences when it comes to quality. Despite the fact that the A1 is the elder statesman, you can’t fault it for substance, with materials that are plush to the touch and buttons and switches that click meticulously. The Mini’s interior displays mostly the same degree of quality and stoutness but is designed to a theme that injects a bit more glam. Less so the Fiesta. Sure, as part of the Vignale treatment, the dashboard is wrapped in the same leather as the seats, yet this goes only so far in distracting you from the rather dubious quality of the materials elsewhere. Don’t get us wrong: all three cars present hard plastics in places, but there’s an epidemic of them in the Fiesta.